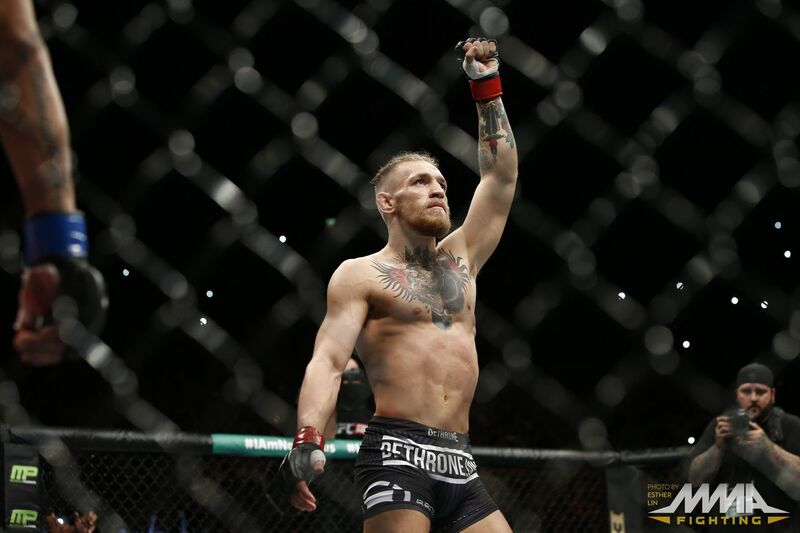 UFC featherweight champion Conor McGregor may do the unfathomable and jump up two weight classes to challenge for the welterweight title, leap-frogging all current division contenders in the process. That’s according to Matt Brown, who claims a win for “Notorious” against Nate Diaz at this weekend’s (Sat., March 5, 2016) UFC 196 pay-per-view (PPV) event could very well make that mind-boggling fantasy become a reality. In fact, as “The Immortal” stated on The Great MMA Debate Podcast, it would make more sense to give Conor a shot at the 170-pound title with a victory, than it would if it was given to Tyron Woodley, the No. 3 ranked fighter in the division. To further explain his stance, Brown compared Conor to Floyd Mayweather Jr., saying that just like the pound-for-pound best boxer in the world, McGregor is the money fight everyone wants, current champions included. Canelo vs Khan: Watch pre-fight press conference stream live online today!